Whisker Stress -Does Your Cat Have It? It’s called whisker stress. Many cats suffer from it daily, and yours may be one of them. Domesticated cats that live and eat indoors don’t have the luxury of eating their food anywhere they’d like. A feral cat can hunt down her prey, and consume it wherever she pleases. Circumstances are much different in a domestic environment where the human is in charge of when, where, and how the cat will eat. So how do a cat’s whiskers play into all of this? The role that whiskers play in terrestrial mammals is mainly to augment their short-distance vision. A cat has approximately 8 to 12 of these whiskers on each side of their face, arranged in horizontal rows that fan out sideways on each side of the upper lip, plus some tufts of shorter whiskers above their eyes, on their chin, and even on the back of their forelegs, just above the paw! 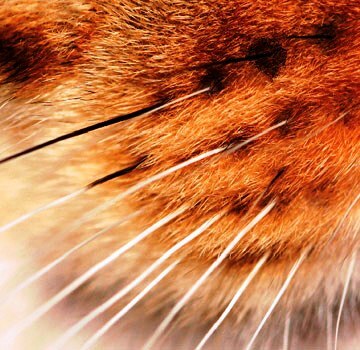 These whiskers are deeply-rooted, and rich in blood vessels and nerve endings that provide your cat with information about surrounding objects and even air movement. This exceptionally sensitive tool assists them in many forms of navigation. 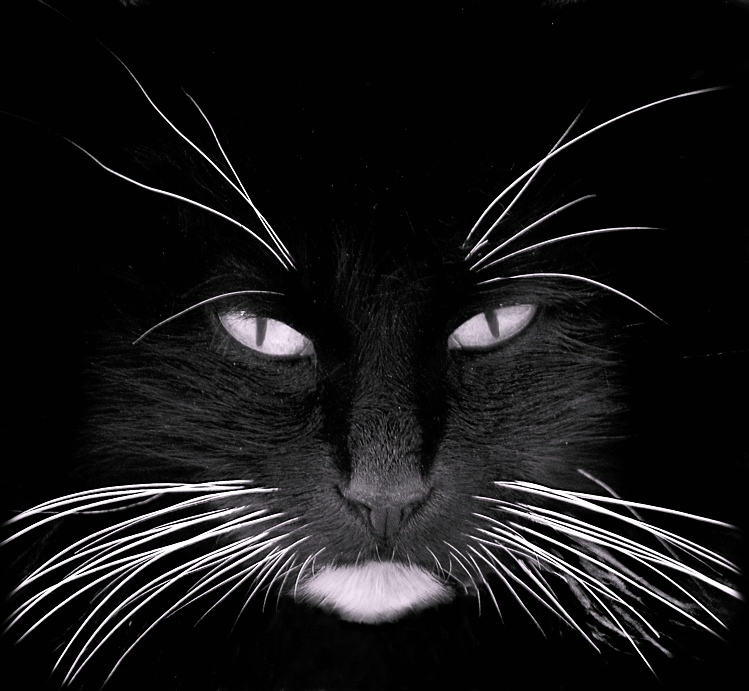 Each whisker functions as a mechanical transmitter, conveying pressure applied along the shaft to receptors in the follicle at the whisker base. It’s the proprioceptors that deserve our special attention here. Because a cat’s whiskers are so exquisitely sensitive, it can be terribly irritating to a cat if their food or water bowls are narrow enough to cause the whiskers to touch the sides of the bowl. You may assume your cat is merely being picky about her food, but she could actually be very uncomfortable with the feeding dish – not the food itself. 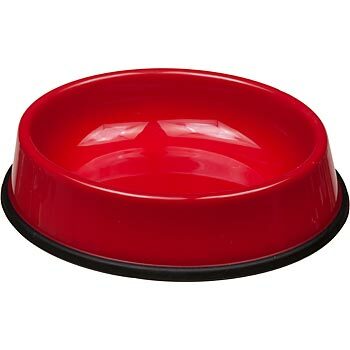 Making sure that your cat has an adequately sized and appropriately shaped food bowl could make a tremendous difference in how comfortable your cat is when she’s eating her food. How Does Your Feline Family Member Eat? Have you ever observed your cat using his or her paw to scoop the food out of the dish? This is could be an indication that your feline companion could be experiencing whisker stress. Similarly, many cats fed from a deep or narrow bowl will sometimes only graze on the top layer of food, avoiding the food on the bottom. This is because the cat is not comfortable pushing their sensitive face into a tight bowl. Imagine what forcing those sensitive, delicate instruments into a tiny food dish must feel like! 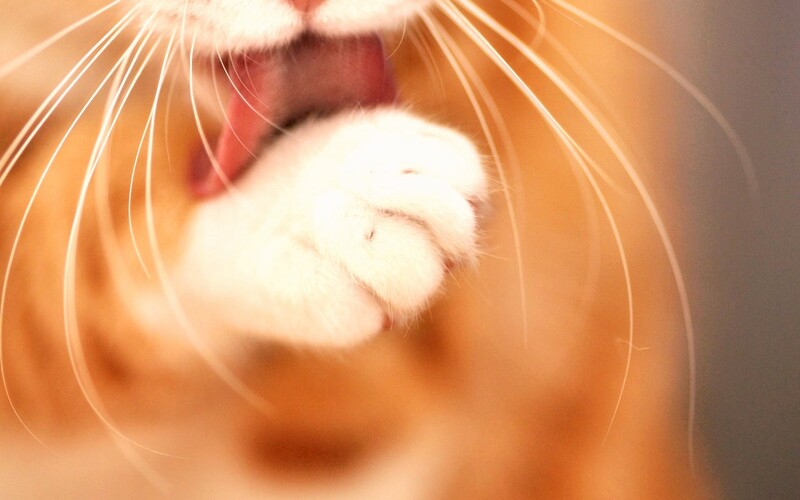 Simply put, Whisker Stress is caused when a cat’s sensitive whiskers touch the sides of the bowl. I have to admit, when I first heard about “whisker stress” I was a bit skeptical; I thought it was a marketing scheme to sell fancy food dishes. But then I chose to investigate further. When I thought about all four of feline family members, I realized that I had seen this happening with a couple of our cats! One of our cats will sometimes pull pieces of the dry or wet food out of his feeding dish. At first I thought he was just being a hungry piggy. But what was actually happening is the bowl was way too small; he would rather eat the food outside of the dish, rather than try to cram his face inside of it and aggravate his sensitive whiskers. Another one of our cats was asking for dry food every ten minutes. It turns out that he was not just being “a hungry hungry hippo”; he was eating as much as he could from the dish until his whiskers became stressed. Rundown of the scene: He would eat for a few minutes, and then stop eating. I would pick up the dish and add more food for later, then put it away. Then he would come back 20 min later asking for more food. I would give him the full dish, and he would repeat the same behavior! I know now that he would stop eating as soon as his whiskers were stressed. Our most finicky feline eater would hang around intently watching while the evening food was being prepared. But when his dinner was offered he would stare at the bowl then walk away. Again, the bowl was too tiny for him to eat comfortably. Rather than experiencing pain or discomfort while eating, he would choose to go hungry. He wasn’t being “finicky”. He was very uncomfortable. When the cat’s food level was too low, they were forced to put their faces down into the bowl causing their whiskers to brush up against the sides. It was clearly uncomfortable to all of them. I had labeled their behaviors to fit my perceptions instead of seeing what was really happening! I was not aware of their exquisitely sensitive whiskers. In fact, a cat’s whiskers are so superbly programmed that if they move even 1/2000th of the width of a human hair, a signal is triggered and sent to the cat’s brain. So what’s the solution to whisker Stress? It’s simple: switch their food bowls. 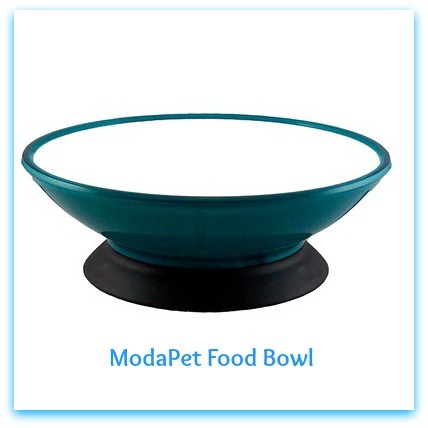 There are many cat food dishes designed specifically to reduce or eliminate whisker stress, such as the ModaPet food dishes. You can purchase one of these stylish and efficient food dishes here. An inexpensive water dish makes a stress-free food dish! If you are on a very tight budget you can get a cat water dish for about $3.00. It’s small enough to be used as a food dish, but plenty wide enough to avoid any whisker stress. Or you can simply feed your cat from a wide or shallow dish, a saucer, or even a small plate. Switching to one of these alternatives will allow your feline companion to eat without the stress of over-stimulating their whiskers and save you from continually clean up after him or refilling the food dish every 20 minutes. It’s amazing what you will learn when you take the time to remove your preconceived ideas and beliefs and objectively OBSERVE. We need to ask ourselves questions to become aware and learn. How does your feline prefer to eat? Do they behave strangely sometimes when eating? Do they stop and start again? Do they refuse to eat when they seemed hungry just minutes earlier? Remove your personal beliefs about them. Open your mind to consider the world of your animal companions. They are experiencing life on a very different playing field. Be a Conscious Companion and take the time to observe their behaviors. They always have something to teach you. This article has been published in “WHAT IS MY CAT SAYING? FELINE COMMUNICATION 101”.